As part of an ambulatory surgical center, you see patients. People come in when there is something wrong. On a daily basis, there are hundreds of people who need the attention of a skilled physician to diagnose and treat conditions that have decreased their quality of life. A great surgeon builds a community that begins to trust them and a business is born. While the physicians are taking care of the community, who is taking care of revenue cycle management? Each talented team member strives to ensure that business operates efficiently in order to maximize revenue. For every patient that walks into your ASC, there are charges generated and a claim to be filed that matches the documented services provided. For each patient an ICD-10 code will be assigned based on their diagnosis. To ensure accuracy, procedural and ICD-10 coding is input by certified ASC coders. This branch of the team is familiar with all of the modifiers, sequential visit changes, hospital codes and outpatient practice rules that should be followed. Charge entry is then input into the center specified software. Every company has a billing system that they prefer to use for documentation and billing. This is the system that works for you and your team and we are not looking to change what you use, just make it work to it’s full capacity to maximize the results that you can get. In some ways, insurance sets the standard for how much a medical professionals and surgery centers will get paid. Each service performed is based on units and codes. In order to maximize business it is smart to stay on top of not only what the latest evidence points to as being the gold standard treatment option, but the reimbursement rates for each service as designed by the insurance companies. We work to maintain and manage all insurance carrier fee schedules within the specified software so that your ASC is up to date with the latest information that shapes company revenue and profit. Once coding has been generated and claims entered, we move to the insurance side of revenue cycle management. At this point we file claims, work denials and rejections and follow up with insurance companies for a smooth billing process. When the small details are taken care of by us, you do not have to think about all the little things when you are busy trying to heal people. Insurance account follow-up, denial management and appeals processing are the necessary evils that keeps the business thriving and ensure that the lights stay on. We make this process easier by monitoring revenue cycle management every step of the way to minimize errors, filing stronger paperwork on behalf of your patients. The team will prepare refunds and recoupments to ensure federal compliance. Further enhancing point of contact, we manage the generation and mailing of all patient statements and letters, manage all patient calls for billing inquiries, and follow tracking and monitoring of all patient balances to include outgoing calls. Monthly, the team prepares a collection account file for review and processing. Revenue cycle management is by no means an easy process, but with the right help, it could be the simplest part of your day because you have a team of professionals handling it for you. Quantitative data shows the details of performance for medical treatment and fiscal performance. At month-end, the close process with detailed reporting packets lets you know what worked, what did not and what is generating or detracting from the revenue stream. From here, changes can be made in order to find the solution to what your business needs. Our team is here to monitor the revenue cycle and make your team stronger. With continuous front-office communication, training, feedback with monthly conference calls, quarterly onsite meetings and an annual external coding audit we tailor our services to meet your needs. 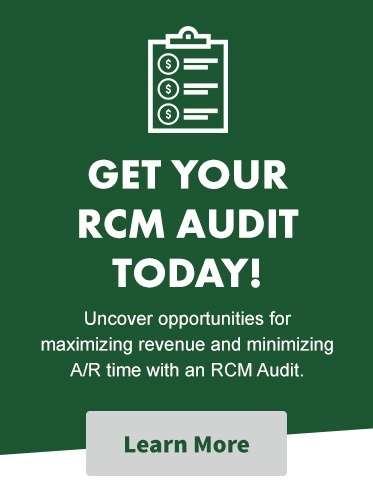 Contact in2itive Business Solutions today to learn more about making the most out of revenue cycle management.